The HSPT tutoring program is a co-education event for eighth graders who are in need of assistance in preparing for high school placement test. The service allows Loyola students to tutor eighth graders during Saturdays from 9:00 a.m. to 12:45 p.m. It runs throughout the fall and winter, with the next events on Nov. 19 and Dec. 10. 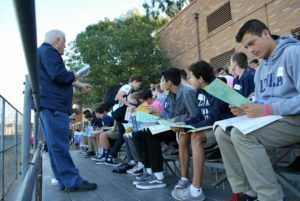 According to theology teacher Dr. Jesse Rodriguez, 120 Loyola students and 70 adults participate in the tutoring initiative. Founded sixteen years ago, the HSPT tutoring program allows junior high students to learn more about the content and strategies for the exam. Additionally, it is affordable and strives to tutor those who do not have enough resources to fully prepare for the test themselves. The content of the HSPT focuses on language arts and mathematics, but the service also teaches students interview skills. During each session, the eighth graders are shown strategies for analyzing four multiple choice exams, teaching skills to get as many questions correct without making a wild guess when one does not know the answer. Although the HSPT may seem only beneficial to the junior high students, Cubs are able to gain from the experience as well. The HSPT gives Loyola students an opportunity to meet new people, give back to others, review of the material they learned a year ago and and teach others. The program provides Loyola freshmen credit for their service requirements. Community Service Directors Tom Zeko and Angela Moran contact the principals from other grade schools to give information about the HSPT tutoring service that Loyola offers. The program is organized by various faculty, alumni and Loyola students to ensure the events run seamlessly. 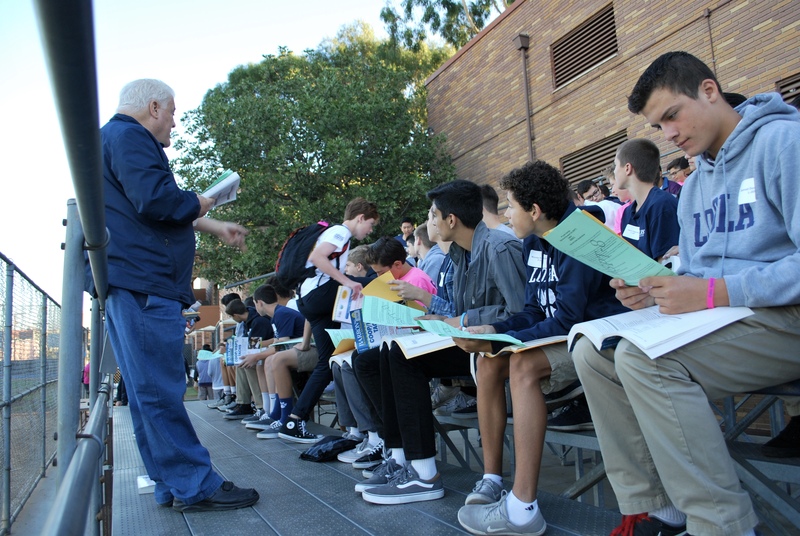 According to Zeko, the program is now a culture in the school as it has become a tradition, for almost every student who graduated from Loyola high school has participated in the event.